cure for blushing rickmansworth aylesbury - Cara Ostryn BSc. Cure for blushing and overcome blushing problems in The Thrive Programme Clinic In Rickmansworth. 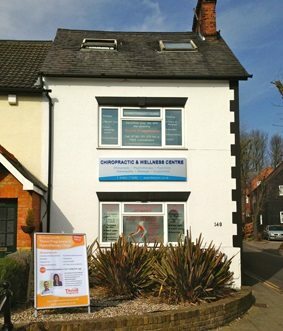 Serving the areas of Eastcote, Hillingdon, Watford, Northwood, and new clinic in Aylesbury! Almost everybody experiences blushing at some point, and it is a very normal, bodily reaction. Blushing is an unconscious, physical response that our bodies have to certain situations and is most often the result of feeling embarrassed, ‘on the spot’ or just feeling judged by other people. However, blushing becomes a problem when the sufferer becomes intensely aware of themselves blushing – resulting in feeling even more aware of themselves. Plus, the fact that the sufferer thinks that others can see them blushing only serves to make them feel even more self conscious. They may then come to dread or avoid social situations or interactions due to a fear of blushing. Many people contact me for help with blushing – it is a very common problem. Kristina, 24, Thrive programme cure for blushing. Blushing is just one of the symptoms of social anxiety or social phobia, which is a fear of any situation where the sufferer is likely to feel embarassed, humiliated or judged – for example; dinner parties, public speaking, interviews, appearing in court, singing and stuttering. Associated symptoms: sensitivity to criticism, negative self image, fear of rejection, difficulty in being assertive and feelings of inferiority. Basically any situation in life where you might feel embarrassed, on the spot, judged, silly out of control etc. 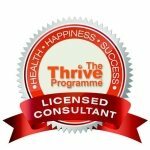 I can teach you how to feel in control of your thoughts and feelings – no longer feeling powerless in situations where previously you felt judged or awkward in front of others. We would work on improving your self esteem and changing you beliefs about yourself in these situations. You’ll discover that no matter how long you’ve had your social anxiety or low self esteem, it can be hugely improved in just a couple of weeks….and it can stay that way!